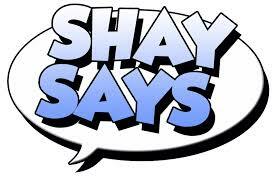 I’d like to draw your attention to the latest episode of Shay Says. If you’re unfamiliar with the series then it’s a documentary-style video games show that deconstructs certain games of gaming franchises in a similar way to Egoraptor’s Sequelitis. For the latest episode, Shay is taking a detailed look at the gameplay mechanics of the Sonic franchise (and when I say detailed, I mean detailed). 2 more episodes will follow that look at other aspects of the franchise. While I wouldn’t normally recommend watching an almost feature length video about a games franchise, Shay has some incredibly interesting things to say about what works and what doesn’t regarding Sonic gameplay mechanics. He’s also one of the few people I’ve seen actively suggest alternative mechanics that might just improve the experience. If you have the time then please take a look at the below video because it’s an extremely well made and unbiased look at what makes the Sonic franchise work so well and what doesn’t. This entry was posted on Saturday, January 24th, 2015 at 19:50	and is filed under Video Spotlight. You can follow any responses to this entry through the RSS 2.0 feed. Both comments and pings are currently closed.